Reader Feedback: When Should You Calibrate Your Industrial Devices? Home / Articles / 2014 / Reader Feedback: When Should You Calibrate Your Industrial Devices? 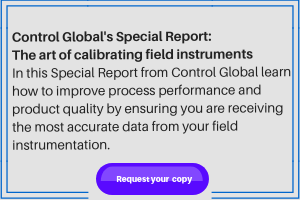 A Reader Says "You Should Calibrate Your Instruments With the Frequency You Established in [Your] Plan, and Never Go Longer Than a Year"
If your process is involved in quality standards, such as BRC, HCCP, etc., then you should calibrate your instruments with the frequency you established in [your] plan, and never go longer than a year. Just try to minimize your critical control points, be smart, work hard, and you will find a thin and adequate list. If you're not suffocated by quality, first of all you should have this basic element: a list of plant instruments with their criticality (high, medium, low). Such criticality must be clearly established in your main maintenance manual [in terms of] impact on production, impact on environment, level of safety and health risks, etc. Once you reduce your entire list to a handful, its time to evaluate the inspection period for such instruments. Remember the "bathtub" figure "percent fails against time" for electronics equipment: high percentage in the first hours of life, steady figure during the working life, and high percentage in the final stage of its life. This figure tells you, "Take your hands out of the instruments unless they show signs of malfunction." In other words, if it works, don´t mess with it. The signs of malfunction could be established from a condition-based monitoring routine inspection period. At the end, I agree with controlglobal.com. Declining Need for Field Calibration?